Celebrate National Research Trip Week! - who is nicka smith? 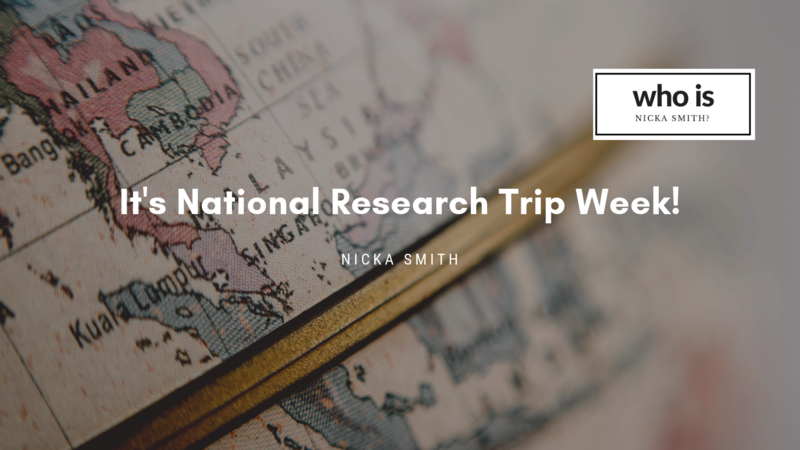 This third week of January has been all about research trips for me, so I’m officially proclaiming it National Research Trip week! You’re probably wondering who proclaimed this a holiday week. Don’t bother searching Google. It was me. LOL I have no so-called authority to do any of this, but I mean, why can’t I? We have a week for everything else, right? And research trips are such an important part of the genealogy and family history research experience, right? On Tuesday, we taped episode 75 of BlackProGen LIVE where me and the panel weighed in on getting the most from your research trip. It was chock full of amazing information to get you on the right foot in your on-site pursuits taking place throughout the year. You DO NOT want to miss this episode if you plan on heading to your ancestral locations sometime this year. 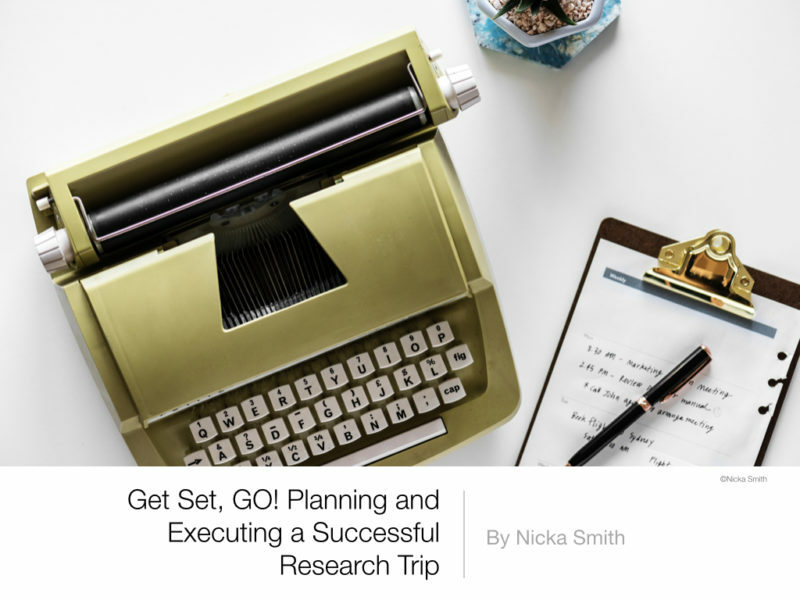 Then, I recorded my fifth webinar for Legacy Family Tree Webinars, released today, that is all about planning and executing your research trip. I covered everything from determining when a trip is needed to the resources required, a super deep dive into how best to organize your trip, how to avoid pitfalls, what to do when you get back home, and more. The replay is available for subscribers only, but I can guarantee you that you’ll become one after you listen to the preview. Save 15% on annual membership by using the Genealogy Bargains code thomas15 at checkout. Below, you’ll find more from me and BlackProGen LIVE panelists to celebrate this week. How will you be celebrating National Research Trip week? On August 7, 2017, I walked the land that I confirmed my ancestors had been enslaved on. I went live to share the experience with my family and friends. It was viewed more than 4,500 times. To find out more about the journey of discovering the slaveholders of those ancestors, read Unearth the Lead, Unearth the Slaveholder. To learn more about what I discovered about their lives while enslaved, read Waiting on Fate.